Join A Proven Moving System! 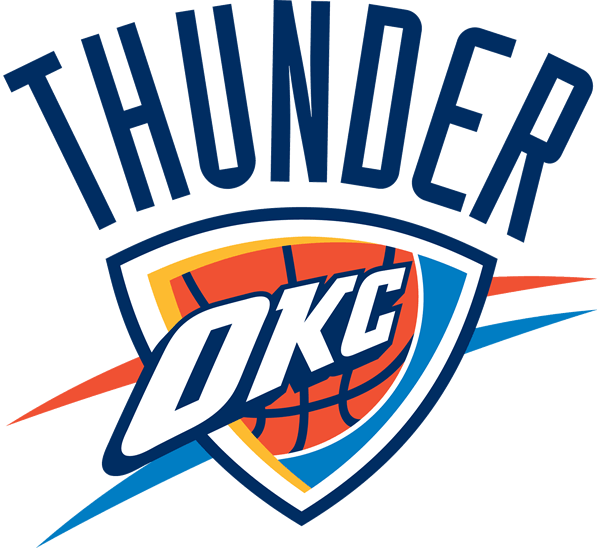 Our company is the preferred mover for the NBA's Oklahoma City Thunder. We invite you to ask us about it! 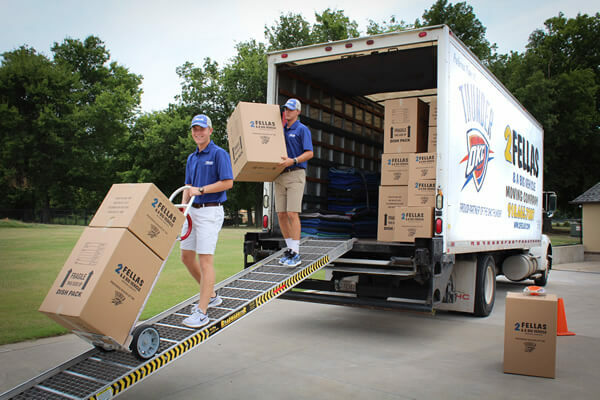 2 Fellas Moving Company has been professionally serving customers since 1996. We are locally owned and operated. All of our employees are background checked and full-time labor. 2 Fellas conducts a move with efficiency and care. We handle goods as if they were our own. 2 Fellas offers many resources that will ease the mind and guarantee that we are the right choice. 2 Fellas Movers are bonded and insured. We take the utmost care loading and unloading valuables. We take care of them as if they were our own. We are a full service relocation company. Whether it is a home or business, we can handle it. We have a full selection of packing materials to secure fragile belongings. Our client doesn't have enough room at the new location? No problem! 2 Fellas offers multiple storage options at affordable prices! Their valuables will be safe in our secure storage facility for as long as they need to leave them with us! Why 2 Fellas Moving Company? 1 in 6 American move annually and the moving category continues to grow while consumers free themselves from the stresses of moving heavy furniture, appliances and belongings. 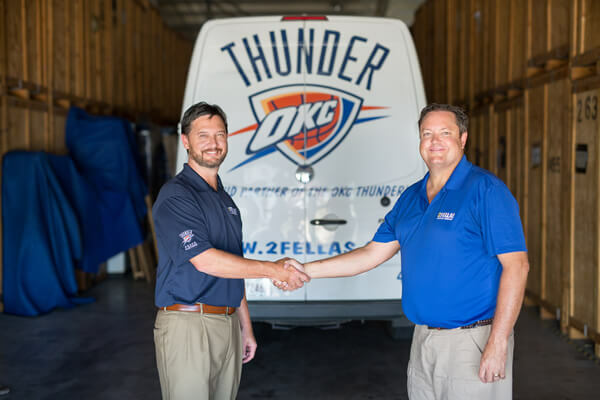 2 Fellas provides our customers with the highest level of service in both local and long-distance moving, as well as packing, storage, and in-home moving services. We move homes, apartments, sky rise office buildings, businesses, and everything in between from small apartments to large facilities. 20 Years of operational excellence will be shared with our franchise partners to support in their growth and profitability in this category filled with opportunity nationwide. Our ideal candidate will be someone who sees the growing moving services business as an opportunity to create their own business within. We look for someone who is compassionate in understanding that moving someone's belongings from one residence to another can be emotionally tolling and that we strive to provide the utmost care, compassion, and ease to our customers. We are looking for franchise candidates that have a high level of customer service focus and building teams that are customer oriented. A individual who can build relationships, lead a team, and who has the motivation to excel! You must have a minimum of $50k in liquid capital, and be ready to make a full-time commitment. Interested? Fill out the form today and start our 5 Step Path to ownership with 2 Fellas! 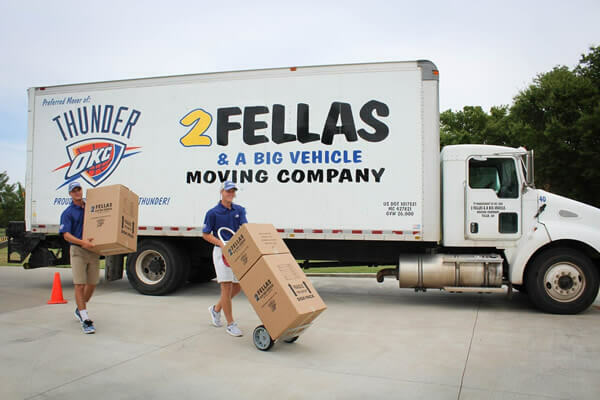 2 Fellas Moving Company is currently accepting inquiries from the following states: Alabama, Alaska, Arizona, Arkansas, Colorado, Connecticut, Delaware, Florida, Georgia, Idaho, Iowa, Kansas, Kentucky, Louisiana, Maine, Massachusetts, Mississippi, Missouri, Montana, Nebraska, Nevada, New Hampshire, New Jersey, New Mexico, North Carolina, Ohio, Oklahoma, Pennsylvania, South Carolina, Tennessee, Texas, Utah, Vermont, Washington, D.C., West Virginia, Wyoming.